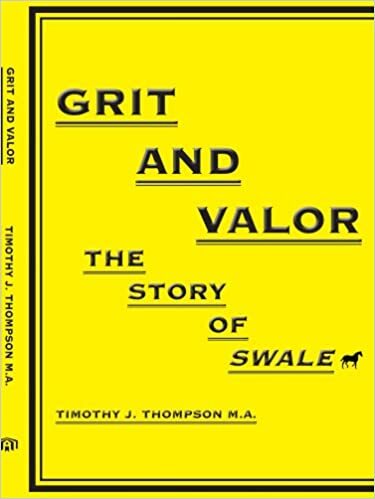 I began work on GRIT AND VALOR: THE STORY OF SWALE, on August 8 2004. Initially, I did a great deal of research at the local library. From this research, I received information on the existence of a rare article in New York Magazine which outlined Swale's life and racing career. On the very next day, I sent away for a back issue, and received it in the mail about ten days later. It only cost me ten dollars, and really jump started my project. I then conducted an interview with Seth W. Hancock, Swale's principal owner, and the Master of historic and venerable Claiborne Farm in Paris, Kentucky. Swale was a great thoroughbred. There are no two ways about it. In order to back this statement up, just take a look at his race record below. You will see what I am talking about. SWALE SIMPLY TRAINED WAY TOO HARD FOR THE PREAKNESS, OR HE WOULD HAVE EASILY WON. THIS WAS THE ONE AND ONLY TIME HE EVER FINISHED OUT OF THE MONEY IN HIS MAGNIFICENT CAREER. THAT SHOWS YOU JUST HOW GAME OF A COLT HE WAS. Click HERE To Order From Timothy J. Thompson Personally, And Receive Two FREE Gifts!